Probably you have watched at the Disney Channel, the TV series Choo Choo Soul a very popular children’s act who this coming September they will be performing in Seawolrd Orlando at the Nautilius Theather at 11:30 am and at 1:30 pm. The Choo Choo Soul performance in Seaworld will be included in your admission which is very economic with Orlando Discount Tickets USA promotions in which paying only $25 dollar per person for the first 2 tickets you can have admission for 2 days at the Seaworld Theme parks. During the dates of the performance there is the possibility of have a VIP experience for extra $29 dollars, the VIP experience includes brunch and meet-and-greet the group. If you plan to visit Orlando, September is a month highly suggested because the traffic of tourist is lower and the lines and weather at the theme parks in more enjoyable. 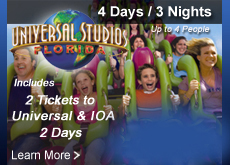 Orlando Discount Tickets USA has for you 2 great offer you can not overlook, you can get admission for 2 adults in Seaworld and the hotel accommodation for 4 days and 3 nights in Orlando by attending a resort preview the following day of arrival. Visit www.orlandodisocuntickets.usa to stay inform about the beast deal promotions on tickets for the Orlando Theme Parks and vacation packages. United States has some cities that are an icon for the world. New York, San Francisco y Chicago are probably the most popular due to the high quality of life, salaries, financial companies and architecture. However, Orlando Discount Tickets USA believes Orlando is already a great city in pursue of the excellence of quality life and to be a place full of developments and attractive activities for locals and tourist. Weather condition. In Florida is much likely never cold, Winter time it doesn’t feel like Winter. The weather during the year is always warm, with some hot hot time i July and August and some cold wind on November and December. People from New York and other colder states choose Florida to escape during Winter time to refugee in warm Florida weather. Accessible beaches: With out driving long distance locals and tourist can visit Clear Water in Tampa, Cocoa Beach and Daytona beach. Home of the better Theme Parks: Immerse your self on Walt Disney World, Seaworld, Universal Studios. The Theme Parks are open to the public the whole year and they even celebrate specif events according the season of the year. You can enjoy and and Flower and Garden Festival, Food and Wine festivals, Halloween and Christmas celebrations. All the theme parks Magic Kingdom, Hollywood Studios, Epcot offer multiples family oriented shows. Events All Year Long: For locals and tourist there are multiple evens during the year. Some of the popular ones; The Color Run, Bob Marley a Tribute to Freedom, Mardi Grass, Annual Orlando Golf Festival, Downtown Food and Wine Festival, Annual Strawberry Festival, Stars Wars Weekends,etc. Great Golf Curses are part of the great events of Florida. The scenario of Florida has some of the most beautiful golf courses in the city. Entertainment with a low Budget: In Florida locals and tourist can enjoy Day Trips like visiting San Agustin, Sarasota etc. Also the re are great National Parks, and different tours. Because Florida is a must place to visit, find your next vacation packages at discounted price with Orlando Discount Tickets USA to plan your next dream vacation. When people plan a trip to visit a Theme Park in Orlando it is most likely that they are thinking on any kind of Roller Coaster, even sometimes is a key factor to take the decision about what theme park to visit. Well where they come from? Why are they a success at the Theme Parks? Orlando Discount Tickets Usa with discounted deals for any theme park in Orlando for your to enjoy the most and coolest Roller Coasters of United States, review with our customer some of the history behind this historical piece of entertainment. In 1885, a patent was awarded to La Marcus Adna Thompson regarding roller coaster which on their beginners where made of Wood. Even the patents are for the USA there is controversy on the ones called “Russian Mountains” on the 17th century. The old version of the “Russian Mountains” were basically hills of ice in which people slide form highs of 80-70 foot with a 50 degree drop that it was reinforced by wooden supports. The real terminology for the Roller Coaster a magic work for the Theme Park Fans consists of one or multiple cars on a track, with similar of specialized railroad system that rises in designed patterns, with all kind of loop of falls. In Orlando pretty much all of the theme parks have Roller Coasters, being the most popular ones Mako, Manta, Kraken, Space Mountain. Rock it, Railroad Mountain, Hulk, Dragon Challenge, Splash Mountain, etc. To Enjoy any Roller Coaster for only $29 dollars is as simple as participation in Orlando Discount Tickets USA tickets promotions. 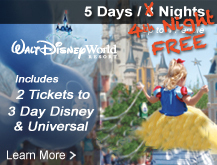 Visit www.orandodiscountticketsusa.com to discover tickets and vacation packages for Orlando Florida.